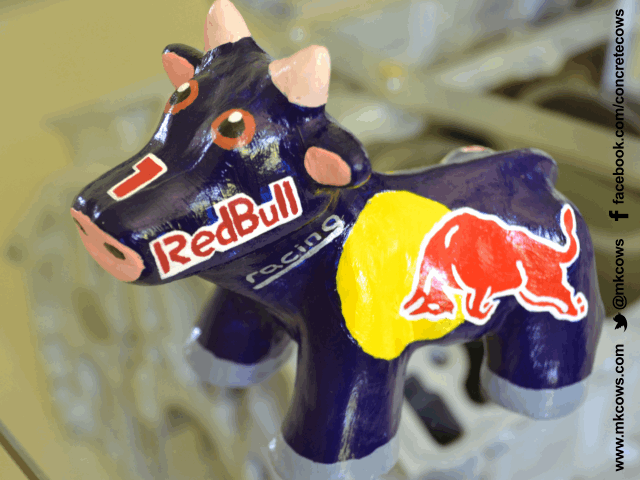 A Mini Concrete Cow owner in Australia has painted their cow to look like a RedBull mascot! 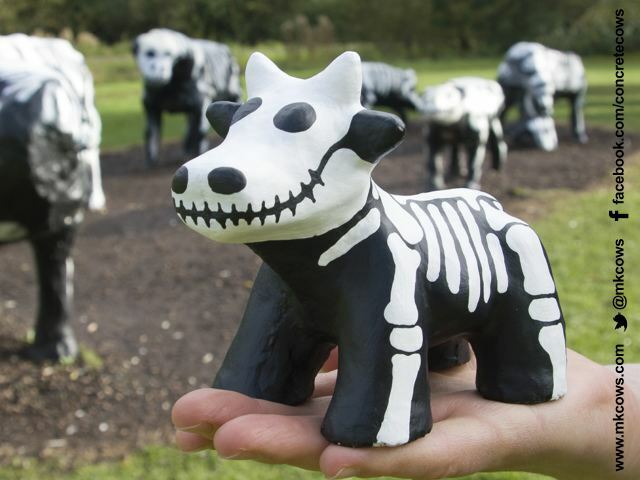 A Special Edition Mini Concrete Cow has been painted to accompany the new paint job on the real Concrete Cows. This is a medium size cow. This cow was placed on ebay with an auction set to conclude late at night on 31st October 2012 (Halloween). 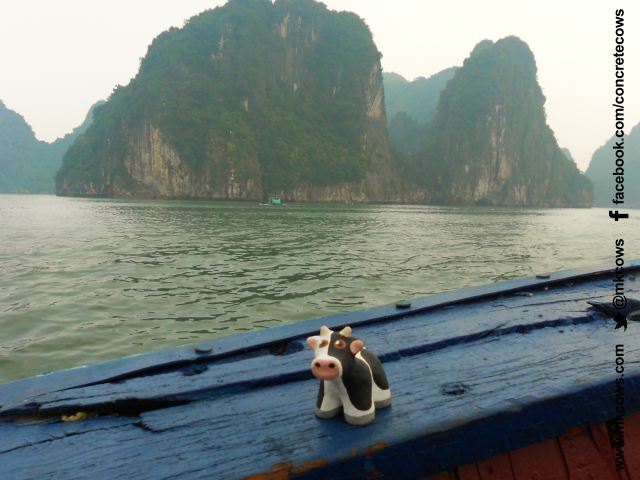 Today we had our first Mini Concrete Cow registered in China. Today a Mini Concrete Cow named Sheldon was registered on the MK Cows website. She was registered in Shenzhen, China by her owner who is a school teacher there. She has done some travelled around China and now sits on the teachers desk in school. 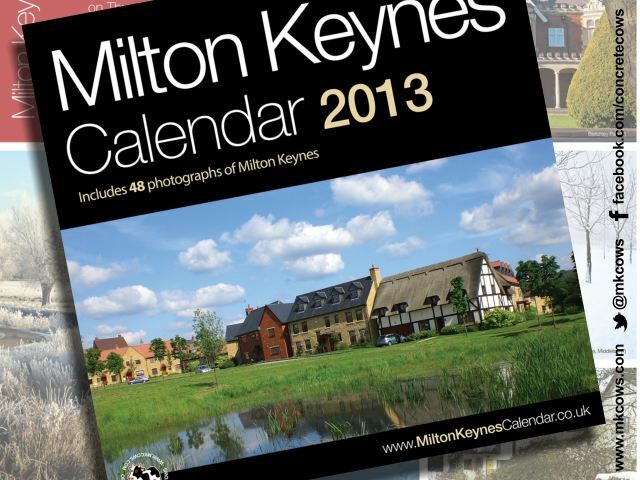 Printed in the UK and includes 48 photographs from in and around Milton Keynes. Extra bonus information pages - finished size of 305mm x 305mm (12" x 12"). The Queen is given a Mini Concrete Cow as she opens the Mk Dons Stadium MK. Her Majesty Queen Elizabeth II and His Royal Highness the Duke of Edinburgh were presented with a special edition mini concrete cow when they visited Milton Keynes to open the new Stadium MK on Thursday 29 November 2007. The size 2 mini concrete cow was specialy prepared with the MK Dons logo painted on it's back and packed in a commemorative box. The Queen now owns Mini Concrete Cow number 101. Happy Easter from the Mini Concrete Cows! 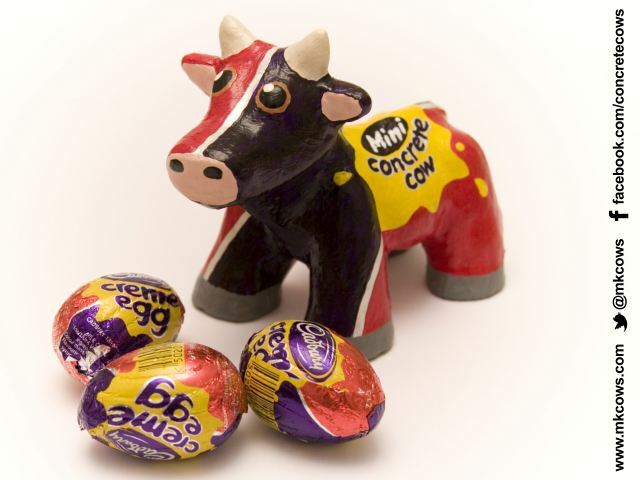 To celebrate Easter and show the newest Mini Concrete Cow, we have painted a Cadbury's Cream Egg cow. We are very pleased to annouce that as of Monday 31st March 2008 you will be able to buy more of the Original Milton Keynes Mini Concrete Cows. They will be available in two sizes - large (size 1) and medium (size 2). Our special edition Easter cow, shown to the right, illustrates just how big (or small) this new size 2 cow is. The standard cow comes painted in black and white and there will be other special edition cows made available. 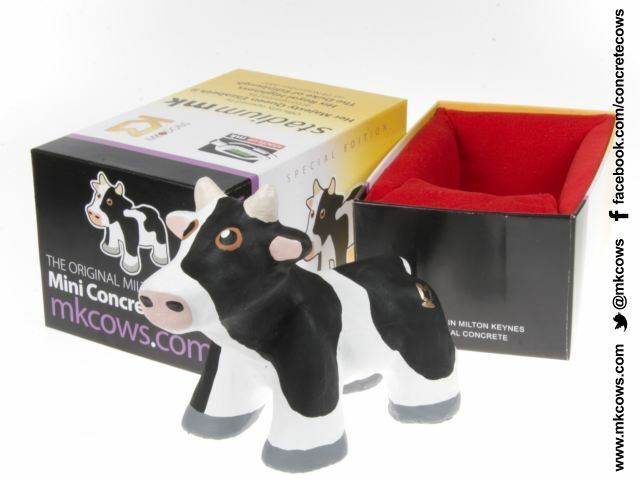 To get more details of these new products please visit the website www.mkcows.com over the next week. It is now six months since the first Mini Concrete Cows were available and we are grateful for the continued interest from people across Milton Keynes as well as further afield too.